Startups from diagnostics, biopharma, medtech, digital health and emerging tech will have 8 minutes to articulate their visions on how they aim to tame the beast. 3Derm Systems is an image analysis firm for dermatologic malignancies. They use a tele-medicine platform to accurately triage out benign malignancies observed from the primary care physician, expediate those pathology cases if urgent to the dermatologist and rapidly consults with you over home or portable device (HIPAA compliant). Their suite also includes a digital dermatology teaching resource including digital training for students and documentation services. developing drugs against CNS malignancies, spun out of research at MD Anderson. They are focusing on glioblastoma and Berubicin, an anthracycline antiobiotic (TOPOII inhibitor) that can cross the blood brain barrier. Berubicin has good activity in a number of animal models. Phase I results were very positive and Phase II is scheduled for later in the year. They hope that the cardiotoxicity profile is less severe than other anthracyclines. The market opportunity will be in temazolamide resistant glioblastoma. They are using machine learning and biomarker based imaging to visualize tumor heterogeneity. “Data is the new oil” (Intel CEO). We need prediction machines so they developed a “my body one file” system, a cloud based data rich file of a 3D map of human body. CUBISMI IS ON A MISSION TO HELP DELIVER THE FUTURE PROMISE OF PRECISION MEDICINE TO CURE DISEASE AND ASSURE YOUR OPTIMAL HEALTH. WE ARE BUILDING A PATIENT-DOCTOR HEALTH DATA EXCHANGE PLATFORM THAT WILL LEVERAGE REVOLUTIONARY MEDICAL IMAGING TECHNOLOGY AND PUT THE POWER OF HEALTH DATA INTO THE HANDS OF YOU AND YOUR DOCTORS. CytoSavvy is a digital pathology company. They feel AI has a fatal flaw in that no way to tell how a decision was made. Use a Shape Based Model Segmentation algorithm which uses automated image analysis to provide objective personalized pathology data. They are partnering with three academic centers (OSU, UM, UPMC) and pool data and automate the rule base for image analysis. CytoSavvy’s patented diagnostic dashboards are intuitive, easy–to-use and HIPAA compliant. Our patented Shape-Based Modeling Segmentation (SBMS) algorithms combine shape and color analysis capabilities to increase reliability, save time, and improve decisions. Specifications and capabilities for our web-based delivery system follow. They were developing a diagnostic software for cardiology epidemiology measuring outcomes however when a family member got a cancer diagnosis felt there was a need for outcomes based models for cancer treatment/care. They deliver real world outcomes for persoanlized patient care to help patients make decisions on there care by using a socioeconomic modeling integrated with real time clinical data. Featured in the Wall Street Journal, using the informed treatment decisions they have generated achieve a 20% cost savings on average. There research was spun out of Washington University St. Louis. They have concentrated on urban markets however the CEO had mentioned his desire to move into more rural areas of the country as there models work well for patients in the rural setting as well. University Children’s Hospital Zurich (Universitäts-Kinderspital Zürich — http://www.kispi.uzh.ch), in Switzerland, is the largest specialized, child and adolescent hospital in the country and one of the leading research centers for pediatric and youth medicine in Europe. The hospital, which has about 220 beds, numerous outpatient clinics, a day clinic, an interdisciplinary emergency room, and a specialized rehabilitation center, is a non-profit private institution that offers a comprehensive range of more than 40 medical sub-specializations, including heart conditions, bone marrow transplantation and burns. There are approximately 2,200 physicians, nurses, and other allied health care and administrative personnel employed at the hospital. Just as important, the hospital houses the Children’s Research Center (CRC), the first research center in Switzerland that is solely dedicated to pediatric research, and is on par with the largest children’s clinics in the world. The research center provides a strong link between research and clinical experience to ensure that the latest scientific findings are made available to patients and implemented in life-saving therapies. By developing highly precise early diagnoses, innovative therapeutic approaches and effective new drugs, the researchers aim to provide a breakthrough in prevention, treatment and cure of common and, especially, rare diseases in children. Several significant milestones have been reached over the past year. One important project under way is approval by the hospital management board and Zurich city council to construct a new building, projected to be completed in 2021. The new Children’s Hospital will constitute two main buildings; one building will house the hospital with around 200 beds, and the other building will house university research and teaching facilities. In the ongoing quest for growing demands for quality, safety and efficiency that better serve patients and their families, the hospital management established a new role of Chief Operating Officer. This new position is responsible for the daily operation of the hospital, focusing on safety and clinical results, building a service culture and producing strong financial results. Greater emphasis on clinical outcomes, patient satisfaction and partnering with physicians, nurses, and other medical and administrative staff is all part of developing a thriving and lasting hospital culture. Recently, the hospital’s Neurodermatitis Unit in cooperation with Christine Kuehne – Center for Allergy Research and Education (CK-Care), one of Europe’s largest private initiatives in the field of allergology, has won the “Interprofessionality Award” from the Swiss Academy of Medical Sciences. This award highlights best practices among doctors, nurses and medical staff in organizations who work together to diagnose and treat the health and well-being of patients, especially children with atopic dermatitis and their families. At the northern end of Lake Zurich and between the mountain summit of the Uetliberg and Zurichberg, Children’s Hospital is located in the center of the residential district of Hottingen. Image SOURCE: Photograph courtesy of Children’s Hospital Zurich (Universitäts-Kinderspital Zürich), Switzerland. Interior and exterior photographs of the hospital. Below is my interview with Hospital Director and Chief Executive Officer Markus Malagoli, Ph.D., which occurred in December, 2016. How do you keep the spirit of innovation alive? Dr. Malagoli: Innovation in an organization, such as the University Children’s Hospital, correlates to a large extent on the power to attract the best and most innovative medical team and administrative people. It is our hope that by providing our employees with the time and financial resources to undertake needed research projects, they will be opened to further academic perspectives. At first sight, this may seem to be an expensive opportunity. However, in the long run, we have significant research under way in key areas which benefits children ultimately. It also gives our hospital the competitive edge in providing quality care and helps us recruit the best physicians, nurses, therapists, social workers and administrative staff. Combustion surgery and plastic reconstructive surgery. We provide patients with our special medical expertise, as well as an expanded knowledge and new insights into the causes, diagnosis, treatment and prophylaxis of diseases, accidents or deformities. We have more than 40 medical disciplines that cover the entire spectrum of pediatrics as well as child and youth surgery. As an example, for many years, we have treated all congenital and acquired heart disease in children. Since 2004, specialized heart surgery and post-operative care in our cardiac intensive care unit have been carried out exclusively in our child-friendly hospital. A separate heart operation area was set up for this purpose. The children’s heart center also has a modern cardiac catheter laboratory for children and adolescents with all diagnostic and catheter-interventional therapeutic options. Heart-specific non-invasive diagnostic possibilities using MRI are available as well as a large cardiology clinic with approximately 4,500 outpatient consultations per year. In April 2013, a special ward only for cardiac patients was opened and our nursing staff is highly specialized in the care of children with heart problems. In addition to the advanced medical diagnostics and treatment of children, we also believe in the importance of caring and supporting families of sick children with a focus on their psychosocial well-being. For this purpose, a team of specialized nurses, psychiatrists, psychologists, and social workers are available. Occasionally, the children and their families need rehabilitation and we work with a team of specialists to plan and organize the best in-house or out-patient rehabilitation for the children and their families. We also provide therapeutic, rehabilitation and social services that encompass nutritional advice, art and expression therapy, speech therapy, physical therapy, psychomotor therapy, a helpline for rare diseases, pastoral care, social counseling, and even hospital clowns. Our hospital teams work together to provide our patients with the best care so they are on the road to recovery in the fastest possible way. What draws patients to Children’s Hospital? Dr. Malagoli: Our hospital depends heavily on complex, interdisciplinary cases. For many diagnosis and treatments, our hospital is the last resort for children and adolescents in Switzerland and even across other countries. Our team is fully committed to the welfare of the patients they treat in order to deal with complex medical cases, such as diseases and disorders of the musculo-skeletal system and connective tissue, nervous system, respiratory system, digestive system, and ear, nose and throat, for example. Most of our patients come from Switzerland and other cantons within the country, yet other patients come from as far away as Russia and the Middle East. Our hospital sees about 80,000 patients each year in the outpatient clinic for conditions, such as allergic pulmonary diseases, endocrinology and diabetology, hepatology, and gastroenterology; about 7,000 patients a year are seen for surgery; and about 37,000 patients a year are treated in the emergency ward. We believe that parents are not visitors; they belong to the sick child’s healing, growth, and development. This guiding principle is a challenge for us, because we care not only for sick children, but also for their families, who may need personal or financial resources. Many of our services for parents, for example, are not paid by the Swiss health insurance and we depend strongly on funds from private institutions. We want to convey the feeling of security to children and adolescents of all ages and we involve the family in the recovery process. What are the hospital’s strengths? Dr. Malagoli: A special strength of our hospital is the interdisciplinary thinking of our teams. In addition to the interdisciplinary emergency and intensive care units, there are several internal institutionalized meetings, such as the uro-nephro-radiological conference on Mondays, the oncological conference and the gastroenterological meeting on Tuesdays, and the pneumological case discussion on Wednesdays, where complex cases are discussed among our doctors. Foreign doctors are welcome to these meetings, and cases are also discussed at the appropriate external medical conferences. Can you discuss some of the research projects under way at the Children’s Research Center (CRC)? Dr. Malagoli: Our Children’s Research Center, the first research center in Switzerland focused on pediatric research, works closely with our hospital team. From basic research to clinical application, the hospital’s tasks in research and teaching is at the core of the Children’s Research Center for many young and established researchers and, ultimately, also for patients. Cancer diseases of children and adolescents. You are making great strides in diagnostic work in the areas of Hematology, Immumology, Infectiology and Oncology. Would you elaborate on this particular work that is taking place at the hospital? Dr. Malagoli: The Department of Image Diagnostics handles radiological and ultrasonographic examinations, and the numerous specialist labs offer a complete range of laboratory diagnostics. The laboratory center makes an important contribution to the clarification and treatment of disorders of immune defense, blood and cancer, as well as infections of all kinds and severity. Our highly specialized laboratories offer a large number of analyzes which are necessary in the assessment of normal and pathological cell functions and take into account the specifics and requirements of growth and development in children and infants. The lab center also participates in various clinical trials and research projects. This allows on-going validation and finally introducing the latest test methods. The laboratory has been certified as ISO 9001 by the Swiss Government since 2002 and has met the quality management system requirements on meeting patient expectations and delivering customer satisfaction. The interdisciplinary cooperation and careful communication of the laboratory results are at the center of our activities. Within the scope of our quality assurance measures, we conduct internal quality controls on a regular basis and participate in external tests. Among other things, the work of the laboratory center is supervised by the cantonal medicine committee and Swissmedic organization. Hereditary disorders of connective tissue, such as Ehlers-Danlos Syndrome and Marfan Syndrome. Maple Syrup Urine Disease (MSUD). Ongoing physician medical education and executive training is important for the overall well-being of the hospital. Would you describe the program and the courses? As a training hospital, we have built an extensive network or relationships with physicians in Switzerland as well as other parts of the world, who take part in our ongoing medical education opportunities that focus on specialized pediatrics and pediatric surgery. Also, newly trained, young physicians who are in private practice or affiliated with other children’s hospitals often take part in our courses. We also offer our hospital management and leaders from other organizations professional development in the areas of leadership or specialized competence training. We believe that all executives in leadership or management roles contribute significantly to our success and to a positive working climate. That is why we have developed crucial training in specific, work-related courses, including planning and communications skills, professional competence, and entrepreneurial development. How is Children’s Hospital transforming health care? Dr. Malagoli: The close cooperation between doctors, nurses, therapists and social workers is a key success factor in transforming health care. We strive for comprehensive child care that does not only focus on somatic issues but also on psychological support for patients and their families and social re-integration. However, it becomes more and more difficult to finance all the necessary support services. Many supportive services, for example, for parents and families of sick children are not paid by health insurance in Switzerland and we do not receive financial support from the Swiss Government. Since 2012, we have the Swiss Diagnosis Related Groups (DRG) guidelines, a new tariff system for inpatient hospital services, that regulates costs for treatment in hospitals all over the country and those costs do not consider the amount of extra services we provide for parents and families as a children’s hospital. Those DRG principles mostly are for hospitals who treat adult patients. Since you stepped into your role as CEO, how have you changed the way that you deliver health care? Dr. Malagoli: I have definitely not reinvented health care! Giving my staff the space for individual development and the chance to realize their ideas is probably my main contribution to our success. Working with children is for many people motivating and enriching. We benefit from that, too. Moreover, we have managed to build up a culture of confidence and mutual respect – we call it the “Kispi-spirit”. “Kispi” as abbreviation of “Kinderspital.” Please visit our special recruiting site, which is www.kispi-spirit.ch. I can think of a few examples where our doctors and medical teams have made a difference in the lives of our patients. Two of our physicians – PD (Privatdozent, a private university teacher) Dr. med. Alexander Moller and Dr. med. Florian Singer, Ph.D. – are involved in the development of new pulmonary functions tests which allow us to diagnose chronic lung diseases at an early stage in young children. Often times, newly born babies have a lung disease but do not show any specific symptoms, such as coughing. One of these new tests measures lung function based on inhaling and exhaling pure oxygen, rather than using the standard spirometry test used in children and adults to assess how well an infant’s lungs work by measuring how much air they inhale, how much they exhale and how quickly they exhale. The new test is currently part of a clinical routine in children with cystic fibrosis as well as in clinical trials in Europe. The test is so successful that the European Respiratory Society presented Dr. med. Singer, Ph.D., with the ‘Pediatric Research Award’ in 2015. Another significant research question among the pediatric pulmonary disease community is how asthma can be diagnosed reliably and at an earlier stage. PD Dr. med. Moller, chief physician of Pneumology at the hospital, has high hopes in a new way to measure exhaled air via mass spectrometry. If it succeeds, it will be able to evaluate changes in the lungs of asthmatics or help with more specific diagnoses of pneumonia. In what ways have you built greater transparency, accountability and quality improvement for the benefit of patients? Dr. Malagoli: Apart from the quality measures which are prescribed by Swiss law, we have decided not to strive for quality certifications and accreditations. We focus on outcome quality, record our results in quality registers and compare our outcome internationally with the best in class. Our team of approximately 2,200 specialized physicians largely comes from Switzerland, although we have attracted a number of doctors from countries such as Germany, Portugal, Italy, Austria, and even Serbia, Turkey, Macedonia, Slovakia, and Croatia. We recently conducted an employee satisfaction survey, which showed about 88 percent of employees were very satisfied or satisfied with their working conditions at the hospital and the job we are doing with patients and their families. This ranking is particularly gratifying for us as a service provider for the children and families we serve. How does your volunteer program help families better deal with hospitalized children? Dr. Malagoli: We have an enormous commitment from volunteers to care for hospitalized children and we are grateful to them. We offer our patients and their families child care, dog therapy, and even parenting by the Aladdin Foundation, a volunteer visiting service for hospitalized children to relieve parents and relatives and help young patients stay in hospital to recover quickly. The volunteers visit the child in the absence of the parents and are fully briefed on the child’s condition and care plan. The handling of care request usually takes no more than 24 hours and is free of charge. The assignments range from one-off visits to daily care for several weeks. Image SOURCE: Photograph of Hospital Director and Chief Executive Officer Markus Malagoli, Ph.D., courtesy of Children’s Hospital Zurich (Universitäts-Kinderspital Zürich), Switzerland. Markus Malagoli, Ph.D., has been Hospital Director and Chief Executive Officer of the University Children’s Hospital Zurich (Universitäts-Kinderspital Zürich), since 2007. Prior to his current role, Dr. Malagoli served as Chairman of Hospital Management and Head of Geriatrics of the Schaffhausen-Akutspital, the only public hospital in the Canton of Schaffhausen, from 2003 through 2007, where he was responsible for 10 departments, including surgery, internal medicine, obstetrics/gynecology, rheumatology/rehabilitation, throat and nose, eyes, radiology, anesthesia, hospital pharmacy and administration. The hospital employs approximately 1,000 physicians, nursing staff, other medical personal, as well as administration and operational services employees. On average, around 9,000 individuals are treated in the hospital yearly. Previously, he was Administrative Director at the Hospital from 1996 through 2003. Dr. Malagoli began his career at Ciba-Geigy in 1985, spending 11 years in the company. He worked in Business Accounting in Basel, and a few years later, became Head of the Production Information System department in Basel. He then was transferred to Ciba-Geigy in South Africa as Controller/Treasurer and returned to Basel as Project Manager for the SAP Migration Project in Accounting. Dr. Malagoli received his B.A. degree in Finance and Accounting and a Ph.D. in Business Administration at the University of St. Gallen. He is a member of the Supervisory Board of Schaffhausen-Akutspital and President of the Ungarbühl in Schaffhausen, a dormitory for individuals with developmental impairments. We would like to thank Manuela Frey, communications manager, University Children’s Hospital Zurich, for the help and support she provided during this interview. Former President Jimmy Carter’s announcement that he is free of metastatic melanoma surprised many people but, not most melanoma specialists contacted by MedPage Today. With the evolution of modern radiation therapy techniques and targeted drugs, more patients with metastatic melanoma achieve complete and partial remissions, including remission of small brain metastases like the ones identified during the evaluation and initial treatment of Carter. 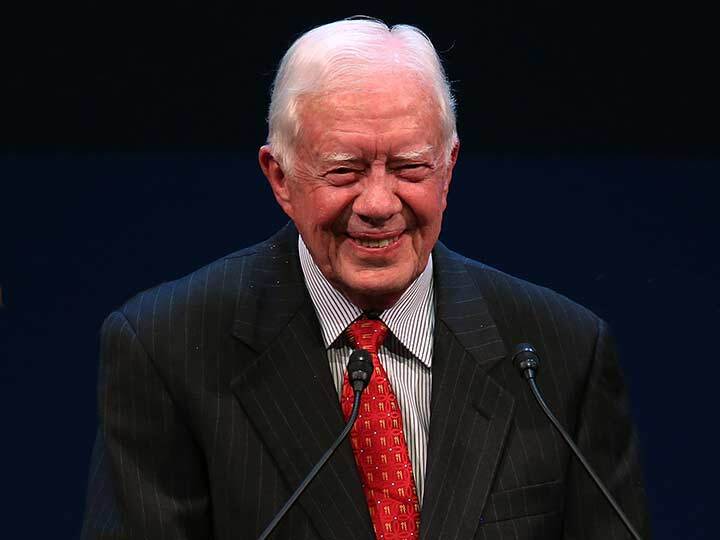 However, the experts — none of whom have direct knowledge of Carter’s treatment or medical records — cautioned that early remission offers no assurance that the former president is out of the woods. “If I had a patient of my own with four small brain mets undergoing [stereotactic radiation therapy], I would tell them that I fully expected the radiation to take care of those four lesions,” said Vernon K. Sondak, MD, of Moffitt Cancer Center in Tampa. “The fact that President Carter reports that it has done just that is not a surprise to me at all. Carter also is being treated with the immune checkpoint inhibitor pembrolizumab (Keytruda), which is known to stimulate immune cells that then migrate to tumor sites to eradicate the lesions, noted Anna Pavlick, DO, of NYU Langone Medical Center in New York City. Carter’s melanoma story began to emerge in early August when he had surgery to remove what was described as “a small mass” from his liver. Following the surgery, Carter announced that his doctors had discovered four small melanoma lesions in his brain, confirming a suspicion the specialists had shared with him at the time of the surgery. Carter subsequently underwent focused radiation therapy to eradicate the brain lesions and initiated a 12-week course of treatment with pembrolizumab. The radiation therapy-targeted therapy combination was a logical option for Carter, given observations that the PD-L1 inhibitor has synergy with radiation, noted Stergios Moschos, MD, of the University of North Carolina Lineberger Comprehensive Cancer Center at Chapel Hill. Although Carter’s announcement is undeniably good news, the optimism should be tempered by a long-term perspective, suggested Nagla Abdel Karim, MD, PhD, of the University of Cincinnati Medical Center. Darrell S. Rigel, MD, also of NYU Langone Medical Center, represented the lone dissenter among specialists who responded to MedPage Today‘s request for comments. The New York Times of 11/24/2015 carried an Op-Ed “Stop Force-Feeding the Elderly”. The article is reminiscent of the experience of my Uncle Herman, in a nursing home at age 98. He was not really incapable of taking care of himself, but he had lived in the same place the his recently deceased wife had been. A nurse tried to place a feeding tube and he refused, and when she said he needed it, he smacked her down. That was a year before he died. In important issue that is not stated is that nutritional care is important in nursing homes, and there is very poor assessment of nutritional status of these patients. It was many years ago that I was unable to provide the support for testing of transthyretin testing at a nursing home in New Haven, mainly because it was not in contract with Bridgeport Hospital. However, I knew someone in another state who was formerly a representative of a major pharmaceutical company and she took a position at a nursing home. She was thoroughly familiar with my publications on transthyretin and cachexia. It is not only an issue with hospitalized patients who are hypermetabolic, mainly posttraumatic, postoperative, or burn patients, but is also seen in the geriatric patient unable to carry out the activities of daily living. The NY Times article informs us that there is excessive forced feeding in nursing homes because they may have poorly prepared nursing and ancillary staff who are also not well paid. It points out that tube feeding is often given to patients with dementia who should not even be offered such treatment. The experience described is a viscous nutritional formula pumped into a feeding tube inserted into the stomach via nasopharyngeal passage. The well trained pathologist is quite familiar with the epithelial erosion that occurs from tube placement into the esophagus. Furthermore, even if food supplementation is required, a protein shake can be given orally, and if the oral route is not accessible, a small port of entry can be made for temporary use directly to the stomach. “Kill me”. This became a screaming : “killmekillme…”. In occupational therapy, occupations refer to the everyday activities that people do as individuals, in families and with communities to occupy time and bring meaning and purpose to life. Occupations include things people need to, want to and are expected to do. 1. Client factors, including body functions (such as neuromusculoskeletal, sensory-perceptual, visual, mental, cognitive, and pain factors) and body structures (such as cardiovascular, digestive, nervous, integumentary, genitourinary systems, and structures related to movement), values, beliefs, and spirituality. 2. Habits, routines, roles, rituals, and behavior patterns. 3. Physical and social environments, cultural, personal, temporal, and virtual contexts and activity demands that affect performance. 4. Performance skills, including motor and praxis, sensory-perceptual, emotional regulation, cognitive, communication and social skills. 1. Establishment, remediation, or restoration of a skill or ability that has not yet developed, is impaired, or is in decline. 2. Compensation, modification, or adaptation of activity or environment to enhance performance, or to prevent injuries, disorders, or other conditions. 3. Retention and enhancement of skills or abilities without which performance in everyday life activities would decline. 4. Promotion of health and wellness, including the use of self-management strategies, to enable or enhance performance in everyday life activities. 5. Prevention of barriers to performance and participation, including injury and disability prevention. 1. Therapeutic use of occupations, exercises, and activities. 2. Training in self-care, self-management, health management and maintenance, home management, community/work reintegration, and school activities and work performance. 3. Development, remediation, or compensation of neuromusculoskeletal, sensory-perceptual, visual, mental, and cognitive functions, pain tolerance and management, and behavioral skills. 4. Therapeutic use of self, including one’s personality, insights, perceptions, and judgments, as part of the therapeutic process. 5. Education and training of individuals, including family members, caregivers, groups, populations, and others. 6. Care coordination, case management, and transition services. 7. Consultative services to groups, programs, organizations, or communities. 8. Modification of environments (home, work, school, or community) and adaptation of processes, including the application of ergonomic principles. 9. Assessment, design, fabrication, application, fitting, and training in seating and positioning, assistive technology, adaptive devices, and orthotic devices, and training in the use of prosthetic devices. 10. Assessment, recommendation, and training in techniques to enhance functional mobility, including management of wheelchairs and other mobility devices. 12. Driver rehabilitation and community mobility. 13. Management of feeding, eating, and swallowing to enable eating and feeding performance. 14. Application of physical agent modalities, and use of a range of specific therapeutic procedures (such as wound care management; interventions to enhance sensory-perceptual, and cognitive processing; and manual therapy) to enhance performance skills. 15. Facilitating the occupational performance of groups, populations, or organizations through the modification of environments and the adaptation of processes. Cleveland Clinic defines our patient experience as putting “Patients First”. Putting patients first requires more than world-class clinical care – it requires care that addresses every aspect of a patient’s encounter with Cleveland Clinic, including the patient’s physical comfort, as well as their educational, emotional, and spiritual needs. Our team of professionals serves as an advisory resource for critical initiatives across the Cleveland Clinic health system. In addition, we provide resources and data analytics; identify, support, and publish sustainable best practices; and collaborate with a variety of departments to ensure the consistent delivery of patient-centered care. Cleveland Clinic was the first major academic medical center to make patient experience a strategic goal, appoint a Chief Experience Officer, and one of the first to establish an Office of Patient Experience. All acute care hospitals throughout the United States participate in a patient survey process designed and regulated by the Centers for Medicare and Medicaid Services (CMS). This HCAHPS survey (Hospital Consumer Assessment of Healthcare Providers and Systems) measures patients’ perspectives of their hospital care. Public results are available at hospitalcompare.hhs.gov. Eligible adult patients are surveyed after hospital discharge and results displayed represent four consecutive calendar quarters. Due to a time lag of the published HCAHPS survey results, we believe it is important for you to see our most recent feedback. View our HCAHPS scores from the last public reported period as well as our recent performance. The Intelligence Team in the Office of Patient Experience plays a vital role in coordinating survey data transmission between the survey vendor and the Cleveland Clinic system. Real-time survey results, complete with benchmark comparisons and performance indicators, are maintained on an internal web-based dashboard program available to all staff in leadership and management roles. The team also provides survey education, particularly for the CMS-required inpatient HCAHPS survey process, and works together with leadership to uncover feedback trends and help prioritize experience improvement efforts. Patient experience has emerged as a dynamic issue for healthcare executives, physicians, nursing executives and industry leaders. No provider can afford to offer anything less than the best clinical, physical and emotional experience to patients and families. As patients become savvier, they judge healthcare providers not only on clinical outcomes, but also on their ability to be compassionate and deliver excellent, patient-centered care. To develop the Institute’s definition of patient experience, we formed a work group of patient experience leaders from a cross-section of healthcare organizations. The group shared perspectives, insights and backgrounds on what patient experience means to them and collaboratively created this definition. We believe it provides a terrific starting point for the conversation around this important issue. Hear perspectives from two leading Patient Experience thought leaders. Wendy Leebov, Partner at Language of Caring, and Mary Malone, President of Malone Advisory Services, discuss the history of patient experience and its growth in the healthcare industry. Perfect as tools to share with growing patient experience professionals or to reenergize efforts for experienced leaders, learn about the many influences that led to the existing patient experience movement and how we all have an impact in this emerging field. Learn more about the history of patient experience in the PX Body of Knowledge History course where you will grasp the core foundation of patient experience and review the evolving role of patient experience in healthcare today. In recent years, perceptions of performance and quality of healthcare organizations have begun to move beyond examining the provision of excellent clinical care, alone, and to consider and embrace the patient experience as an important indicator. There is a need to determine the extent to which clear and formal definitions exist, have common overarching themes, and/or have unique, but important constructs that should be considered more widely. In this article, we provide a 14-year synthesis of existing literature and other sources (2000-2014) that have been used to define patient experience. A total of 18 sources (articles or organizational websites) were identified that provided a tangible, explicit definition of patient experience. A narrative synthesis was undertaken to categorize literature (and other sources) according to constructs of the definitions provided. The objectives of the synthesis were to: (1) identify the key elements, constructs, and themes that were commonly and frequently cited in existing definitions of ‘patient experience,’ (2) summarize these findings into what might be considered a common shared definition, and (3) identify important constructs that may be missing from and may enhance existing definition(s). The overarching premise was to identify and promote a working definition of patient experience that is applicable and practical for research, quality improvement efforts, and general clinical practice. Our findings identified several concepts and recommendations to consider with regard to the definition of patient experience. First, the patient experience reflects occurrences and events that happen independently and collectively across the continuum of care. Also, it is important to move beyond results from surveys, for example those that specifically capture concepts such as ‘patient satisfaction,’ because patient experience is more than satisfaction alone. Embedded within patient experience is a focus on individualized care and tailoring of services to meet patient needs and engage them as partners in their care. Next, the patient experience is strongly tied to patients’ expectations and whether they were positively realized (beyond clinical outcomes or health status). Finally, the patient experience is integrally tied to the principles and practice of patient- and family- centered care. As patient experience continues to emerge as an important focus area across healthcare globally, the need for a standard consistent definition becomes even more evident, making it critical to ensure patient experience remains a viable, respected, and highly embraced part of the healthcare conversation. Patient Experience Journal 2014; 1:(1), Article 3. In practice and research the concept of patient experience has had varied uses and is often discussed with little more explanation than the term itself. Although very little has been published about the complexities with regard to defining patient experience, the 2009 HealthLeaders Media Patient Experience Leadership Survey 3 discovered that when it comes to defining patient experience, there are widely divergent views within the healthcare industry. They found that 35% of respondents agreed that patient experience equals “patient-centered care,” 29% agreed it was “an orchestrated set of activities that is meaningfully customized for each patient,” and 23% said it involved “providing excellent customer service.” The remaining responses reflected patient experience meant, “creating a healing environment,” being “consistent with what’s measured by HCAHPS,” or “other” than the options provided in the survey. In asking the question, “Does your organization have a formal definition of patient experience?” of healthcare organizations in its recent Patient Experience Benchmarking Study, The Beryl Institute discovered that on average 45% of US-based hospitals1 and 35% of non US-based healthcare organizations reported having a formal definition. The question this raises is that as patient experience is identified as a priority item, would healthcare efforts be best served by having a formally accepted definition of patient experience? The efforts that shaped The Beryl Institute’s definition came from the voices of practice and a review of current research and use in 2010. A workgroup of healthcare leaders from a variety of patient experience roles identified the key elements shaping their work in the patient experience. Within individual organizations, inquiries were made of peers and patients to identify key themes and these larger concepts were pulled together in collective data that was aligned around main themes. The four themes that emerged were personal interactions, organization culture, patient and family perceptions, and across the care continuum. From the themes, a definition was created and then validated through the broader Institute community for further feedback and refinement. The definition is currently being used (with or without adaptations) by a number of healthcare facilities globally as their own definition of patient experience. However, there is much ground yet to be covered in moving towards alignment around a clear and shared definition of patient experience. The purpose of this article was to provide a 14-year synthesis of existing literature and other sources that have been used to define patient experience. Given the breadth and depth of information, we aimed to examine key concepts and compare/contrast multiple definitions, and ultimately to recommend a working definition that we feel can be used to across healthcare settings to capture the patient experience. Continuum of Care Several authors argue that the patient experience is not just one encounter, but spans over time and includes many touch points. In a recent publication, Deloitte LLP’s Health Sciences Practice7 contends that organizations need to focus on the patient experience to gain and maintain a competitive advantage. They define the patient experience as much broader than the care itself, describing specific touch points or times when there is interaction with the organization and the patient. Their definition, “The Patient Experience refers to the quality and value of all of the interactions—direct and indirect, clinical and nonclinical—spanning the entire duration of the patient/provider relationship” represents a continuum of interactions. In a recent article, although Stempniak8 does not define patient experience directly, he does offer two quotes that provide some insight. The first from Pat Ryan, CEO of Press Ganey who said, “Let’s look at the patient experience in total as reducing suffering and reducing anxiety… across the entire continuum of care, from the first phone call to the patient’s being discharged.” The second is a statement from Dr. Jim Merlino, Chief Experience Officer at the Cleveland Clinic who admits, the biggest challenge in this effort is figuring out where to start, and defining exactly what the “patient experience” means. Pemberton & Richardson9 provide an overview of a development process of a patient experience vision, told through a story and framed by a series of six active steps a patient goes through during an episode of care, which included: reputation, arrival, contract, stay, treatment and after stay. While there is no direct statement of how they defined the patient experience, they identified the importance of culture and staff engagement in driving an effective patient experience effort. Beyond Survey Results Several articles argue that the patient experience should be defined more broadly than just using the Hospital Consumer Assessment of Healthcare Providers and Systems (HCAHPS) survey domains. Aligned with Patient-Centered Care Principles Other definitions focus on patient-centered care principles. Weiss and Tyink13 discuss the opportunity to provide the ideal patient experience through creating a patient-centric culture. The components of a patientcentric culture encompass competent, high-quality care, personalized care, timely responses, care coordination, and are reliable and responsive. They suggest that the patient experience is about a brand experience and is driven by what happens at the point of contact between the patient, the practice, and the provider. As our review of literature and sources showed, there is an absence of a commonly used definition around patient experience in healthcare. While there has been increasing numbers of articles, research and writing on the subject in recent years, little has been seen in the way of coalescing around an accepted statement. Much of this is due to the reality that in all but a few cases a truly concise, applicable and replicable definition was not offered. Other influences may be the competing interests that influence the day-today operations of healthcare overall.